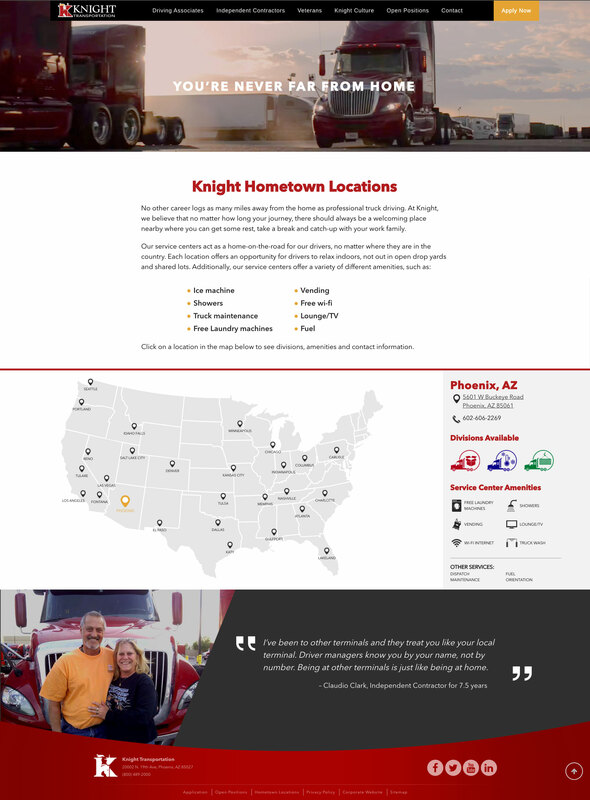 While working as a UX Designer for Gate6, I was responsible for designing DriveKnight, the driver recruiting website for Knight Transportation. 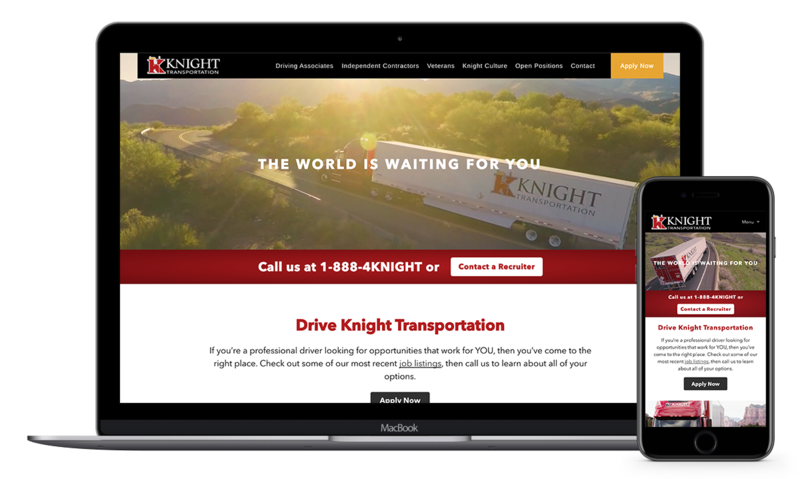 Knight’s recruiting levels were low so we created DriveKnight, a separate website dedicated to attracting new drivers. The website needed high visual interest paired with conversion techniques. We added forms to each page, and clear calls to action to drive traffic to apply for a job. With this new website, Knight saw new applicant leads jump 700% in just one week. Ready to start designing a website for your business?